17. Here, we are using 2 Ethernet cards in our system. 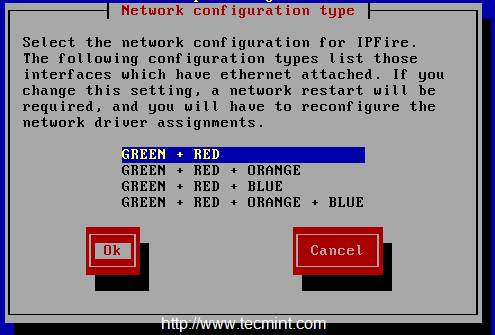 Each Ethernet card needs to be assigned separately for each network, by default it will choose GREEN + RED that means It connects to the local area network and WAN connection with Internet access. 18. 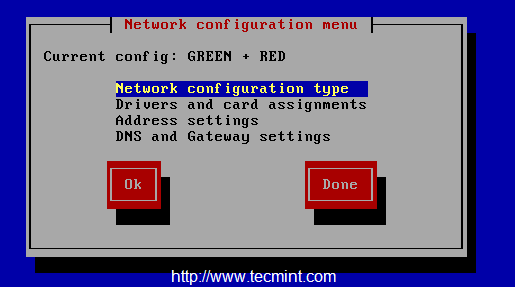 Next, select GREEN + RED color for our two network cards and choose Ok to continue. Now we can see the current config as GREEN + RED it’s with local, WAN. 19. 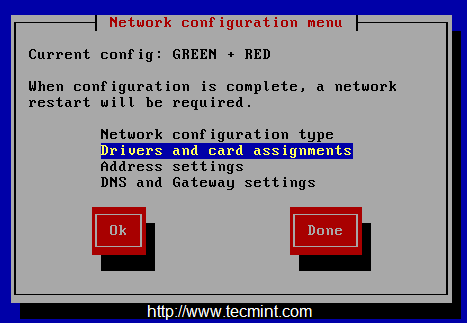 From here, choose Drivers and card assignments type to choose the Network, which is going to assign for LAN and WAN interfaces. 20. 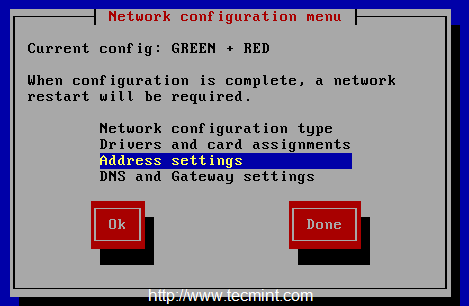 Next, choose GREEN and press Select to enable a Interface for all two network cards. 21. Repeat same above steps for RED interfaces and at final step we can see as below. 22. 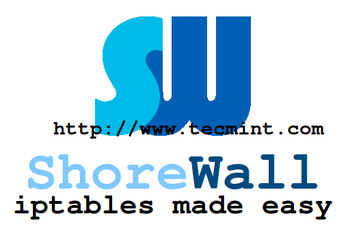 Now time to assign IP address for each interfaces. Here we have only 2 interfaces and we need to assign IP address in different sub-net. If we using 192.168.0.100 for RED interface, we must use different IP and network for other interface. For RED interface we going to use DHCP. 23. Choose GREEN and provide the IP, While choosing we will get a Warning that our Local area connection will be dropped if we change the IP. 24. 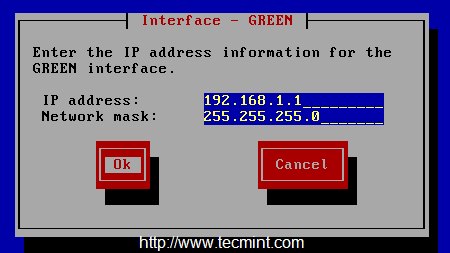 Next, provide the IP 192.168.1.1 for GREEN network interface for our Local/Internal network. 25. 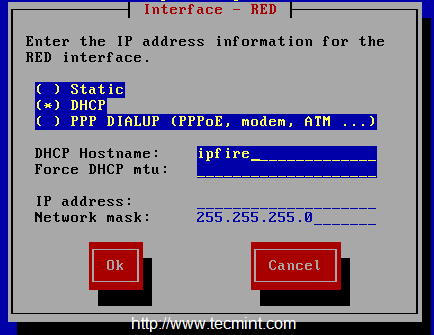 Choose RED interface and choose DHCP to get a IP from our ISP are we can assign a manual IP. 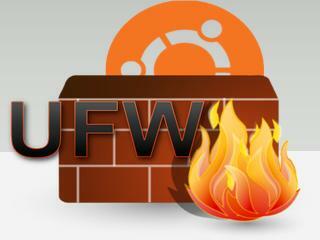 This is our WAN interface which expose to the Internet. 26. Here we need to configure whether our internet connection with a Static IP or PPPOE or DIALUP method. I’m using DHCP for WAN interface. Choose Ok and save it by choosing DONE.